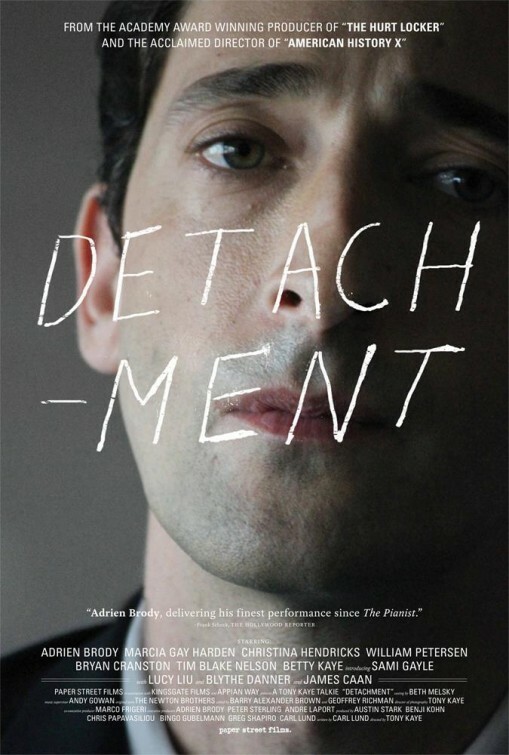 Detachment (highly recommended): This drama about education from director Tony Kaye is a harrowing, thought-provoking, strongly-executed film. 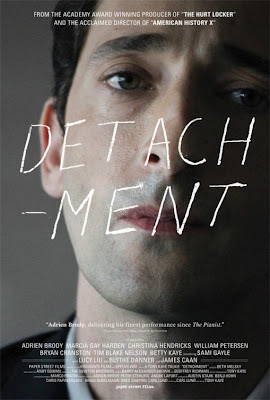 Adrien Brody delivers a terrific lead performance, and is surrounded by a tremendously talented cast. It may be bleak, but it has an important message, presented via a fictional narrative. 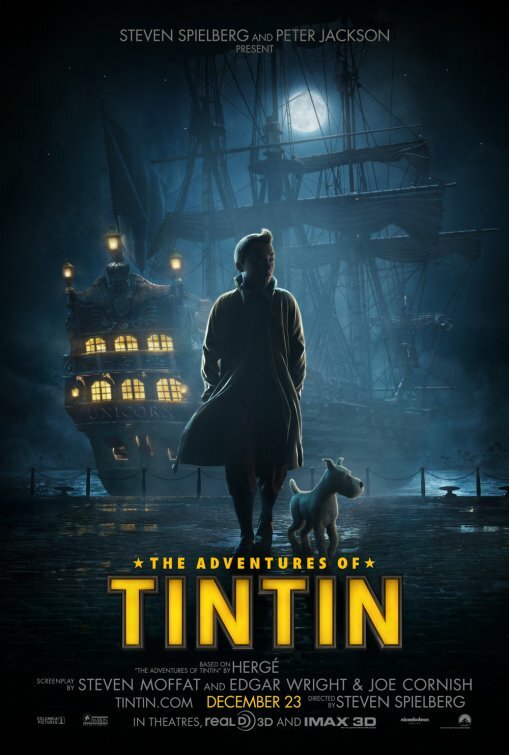 Now playing at AMC Empire and Village East Cinemas. Read my review from yesterday. Seeking Justice (anti-recommended): This action thriller starring Nicolas Cage is exactly what you’d expect from such a film: senseless, illogical, infuriating, annoying, and ultimately unfulfilling. If Cage was Liam Neeson, this film might have been better, but, unfortunately, Cage can’t even shelter all the blame. Skip it! Now playing in limited release. My review will be up tomorrow. The Adventures of Tintin (highly recommended): This inexplicably snubbed animated features is one of the year’s most exciting, enthralling adventures seen on screen in a while, serving both as a landmark achievement in its format and a perfectly excellent film for all ages in its own right. The Descendants (recommended): This somewhat light drama stars George Clooney as a Hawaiian businessman whose wife is in a coma and who has to figure out a way to put his life together. It’s somewhat slow to start, but gradually picks up the pace to become both compelling and entertaining by its end. Happy Feet Two (recommended): This animated sequel is very similar to the first, and those who enjoyed the original will enjoy its follow-up film about as much. Brad Pitt and Matt Damon steal the show as two crustaceans thinking outside the box. Melancholia (recommended): This end-of-the-world drama comes from the mind of Lars von Trier, which means it’s understandably unusual. In many of its moments, however, it’s entirely gripping and fascinating, and certainly worth a viewing if its subject matter isn’t too unsettling. My Week with Marilyn (mixed bag): This film is most reminiscent of “Me and Orson Welles,” presenting a fleeting, inevitably doomed look at one bright-eyed young director’s experience with one of Hollywood’s biggest stars. The film presents intriguing turns from Michelle Williams and especially Kenneth Branagh as Laurence Olivier. The film as a whole is less satisfying and impressive. Young Adult (recommended): This reteaming of “Juno” director Jason Reitman and screenwriter Diablo Cody is a fun black comedy notable most for its showcasing of a tremendously competent and surprisingly funny performance from Charlize Theron. It may not be as good as their last collaboration, but it’s still highly worthwhile to those that don’t get offended easily. My Joy (mixed bag): I saw this film a year and a half ago at the 2010 New York Film Festival, and I remember it as an impossibly bleak, meandering film that just gets more and more demoralizing as it goes on through its two-hour-plus runtime. The production values are better than the film itself, and otherwise this is better saved for truly patient foreign film buffs.